Congrats! You have yourself and interview! Hate to burst your bubble but you aren’t even half way to securing the job you’re looking for. In today’s day and age, companies are interviewing a large number of very qualified applicants to fill one spot. Chances are, most of the applicants have the skill set they are looking for in a successful candidate and want the job just as much as you. You need to separate yourself from the rest of the pack by focusing on 3 very important areas. 1.) Your appearance. Make sure you are well groomed. Pretend like you are going out on a first date with the man/woman of your dreams. Dress to impress. With this said, there is a fine line between appropriate and inappropriate attire at work. Be certain to lean very heavy on the appropriate side. First impressions are everything and an inappropriate wardrobe could be disastrous. 2.) Your personality and the company culture. You need to be observant enough to try to get a feel for the company culture. Once you feel you have a good sense of the culture try to fit your personality in to that culture. Show your personality and be confident. Employers are looking for someone that is going to fit in well with the current team and someone that embraces the values of the company culture. In some cases you can find this information on the company’s website or by networking with current or former employees of the company. You MUST know the company’s culture before interviewing! 3.) Your related experience. ALWAYS relate your prior experiences/skills to what they are anticipating you will be doing for them. Do this by using direct examples or stories from your prior life. Try to fit your successes of the past in to how you will be successful with the company you are interviewing for in to the future. Try to correlate your background with the position your are interviewing for seamlessly to clear up any hesitancy of a potential long learning curve or extensive training. 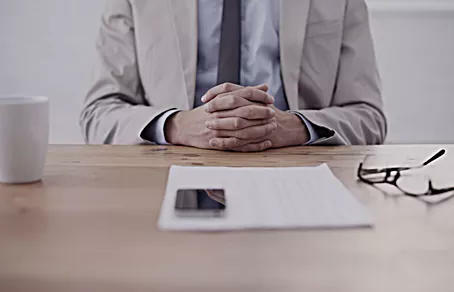 If you focus hard on these 3 things after you land your interview and execute them well you will have a very good chance at securing a second interview or job offer.